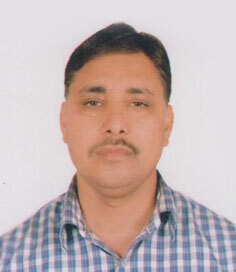 Mr. Adhikari is a founder member and currently serving as a Treasurer of the Society. He is Ph.D. scholar at Central Department of Geography, Tribhuvan University, Nepal and studying on urbanization in Nepal. He received his M.Sc. Degree in Desert Study specialized on Urban and Regional Planning from Ben-Gurion University of the Negev, Israel and also Master’ Degree in Geography from Tribhuvan University, Nepal. He is GIS/RS professional with research interest on urban and regional planning; natural resource and disaster management. He served as a Constructional Commission Member of Local Level Restructuring Commission (2016) and Constituency Delimitation Commission (2017) of Nepal. He has been involved in various projects funded by Government of Nepal and I/NGOs. He is also life member of Nepal Geographical Society; founder and life member of Center for Disaster Management Study, Nepal.